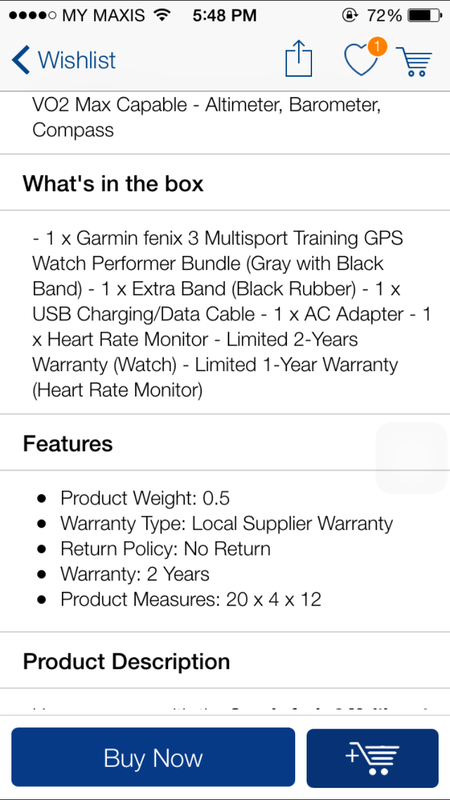 Finally I got myself a GPS sport watch that comes with heart rate monitor (HRM). 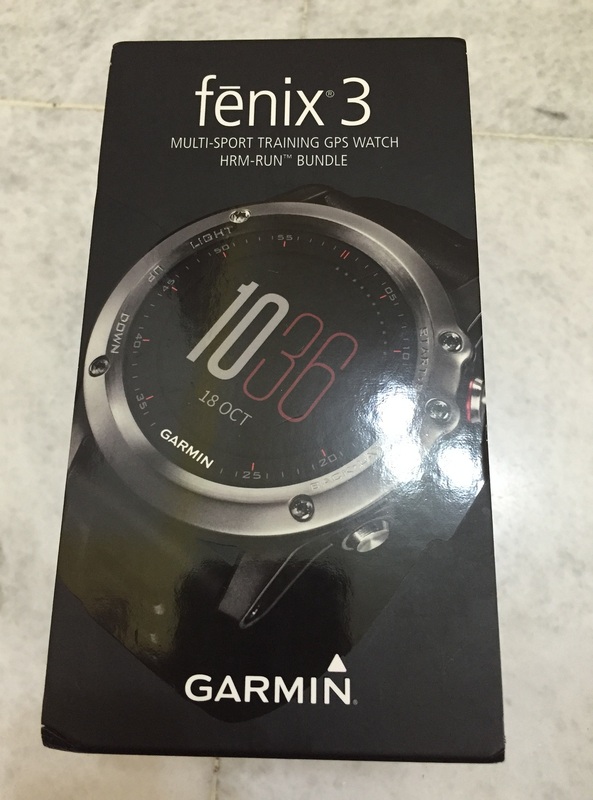 I got this watch from Lazada.com.my during a promotion. The watch is priced at RM1945 but there is a cash back reward from Lazada with RM200 with any purchase that is more than RM1000. The watch comes with 2 years warranty given by local manufacturer but one have to be careful as some sellers do not have any warranty provided. Those sellers would normally price their products RM200-300 cheaper than others. The delivery was very fast as it took 3 days only. There were a few reasons why I wanted this watch for long time already. One of the main reason was I wanted to monitor my heart rate (HR) especially I nearly fainted when I overdone it one time at Penang Hill. The other reason was I don’t want to drain or get my hand phone wet when I bring it out to ride during a gloomy day. Previously I used my phone as my tracking device as I installed the Strava apps into my phone. Lastly as a watch function which all my other watches has given up on me. But, now I am using the HRM for a different purpose. I use it for training and trying to hit 90-95% of heart rate zone for at least once a week riding. Since then, my past few ridings I have been keep hitting 90-95% zone all the time. Also, I use it to monitor my average HR for maintaining my stamina. I don’t feel the watch is bulky or heavy but its present is definitely there. I don’t feel the uncomfortable for day to day wear too. Pairing the watch with your iPhone can be tricky. 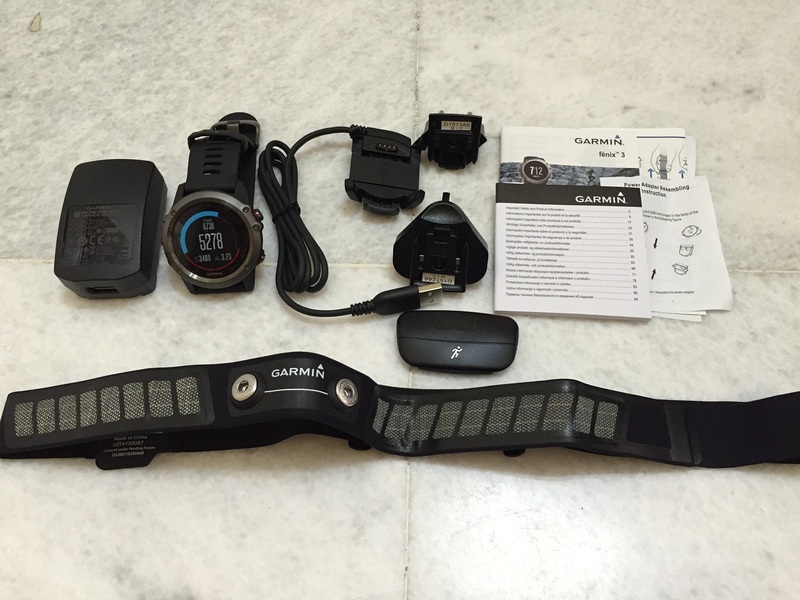 The manual doesn’t teach you that you have to install the Garmin Connect from App Store and you cannot find the device in your iPhone Bluetooth page. This is not the problem if you are using Samsung phone but not all Android phone too. Some Android phones also faced the same thing as iPhone. So, remember to install the app before using. The battery life can last long too. It can last me ~2 weeks if I am not on any activities except for Steps count. Or it can last me more than a week if I ride twice a week with about 6 hours on the road and HRM and GPS on. With that I still have about 30+% left. So far I am still using all the basic functions like Bike, Running, HRM, Altimeter, Temperature, Recovery time and watch function. So, I can’t comment much but if you would like to learn more about this watch you can read it from dcrainmaker. He has done a very comprehensive write up not only to this watch but all other sport watches. What I find it fascinating is the watch functions has a interchangeable watch face. 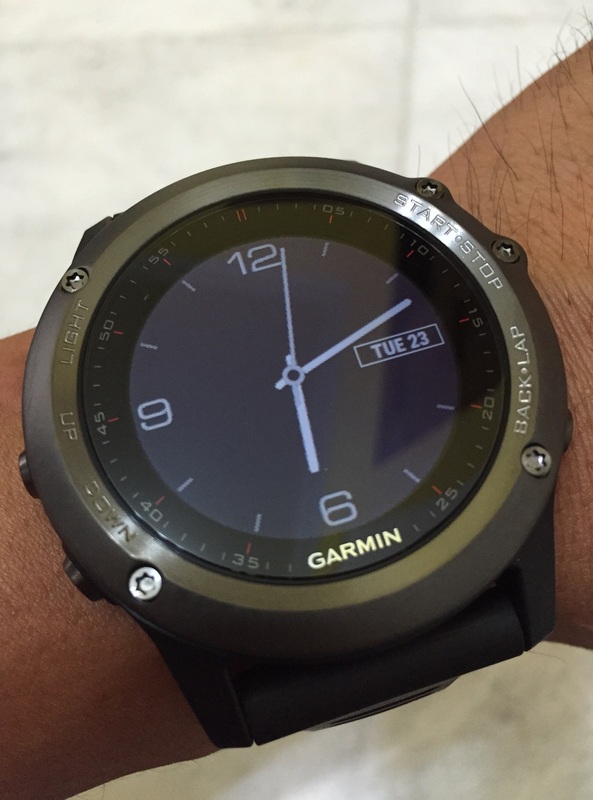 I can customize it to look like analog watch or digital watch. 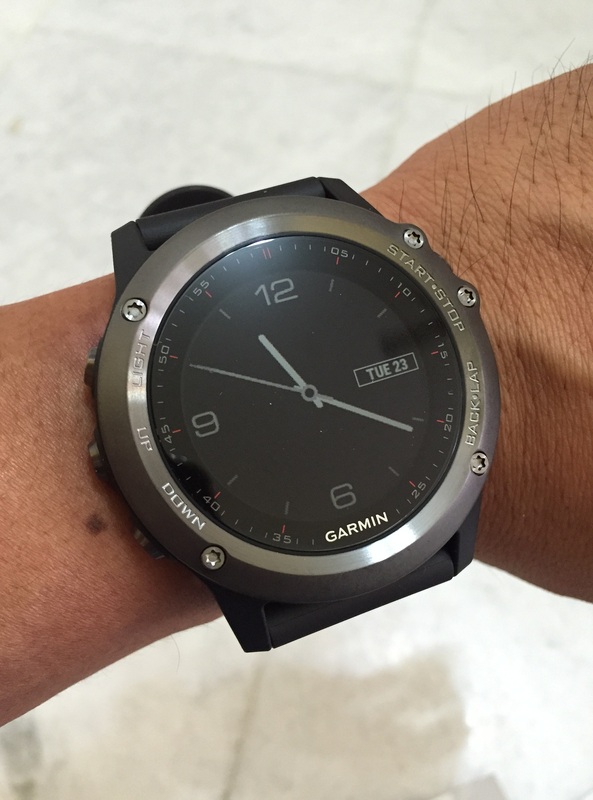 I am sure Suunto Ambit 4 will probably follow suits. The pic on the right is with the back light on. The thing that lacks of is to change the date of your watch. 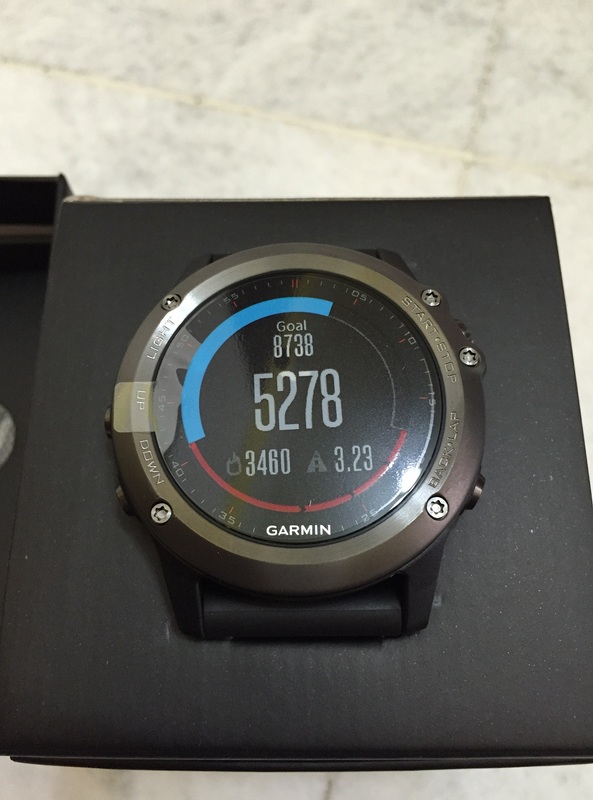 You will need to sync with GPS to update the date or set your watch to automatically set date and time. I haven’t got the chance to try out more about this watch but I like this watch very much. 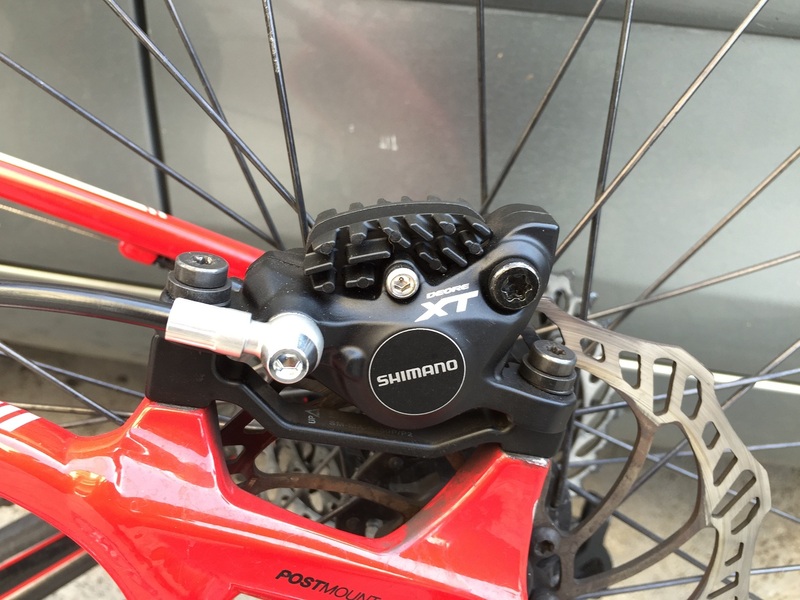 I got this new set of Shimano XT brake set was because my Magura MTS brake keep leaking oil and of all time my brake failed when I went downhill. Luckily it was the front brake and I still had 1 working rear brake. The Specialized shop didn’t tell me the Magura brake has a 5 years warranty on leaking oil until I purchased the XT brake. 😦 So now, I have a spare set at home. I got this set from Specialized shop in Penang with a bargain as it was a 2015 model and 2016 model was already out. I didn’t see any differences in between these 2 brakes. I got this for RM550 but I have to pay additional RM80 for the clamp ring for my shifter which I think it is a bit overpriced. The brake pads are Ice-Tech design which it has extra heat sink to dissipate the heat when it is hot. I believe it helps a lot as I was coming down from Penang Hill with 20-30% gradient hill, it was not super-hot and my rotor didn’t turn black like my previous brake. 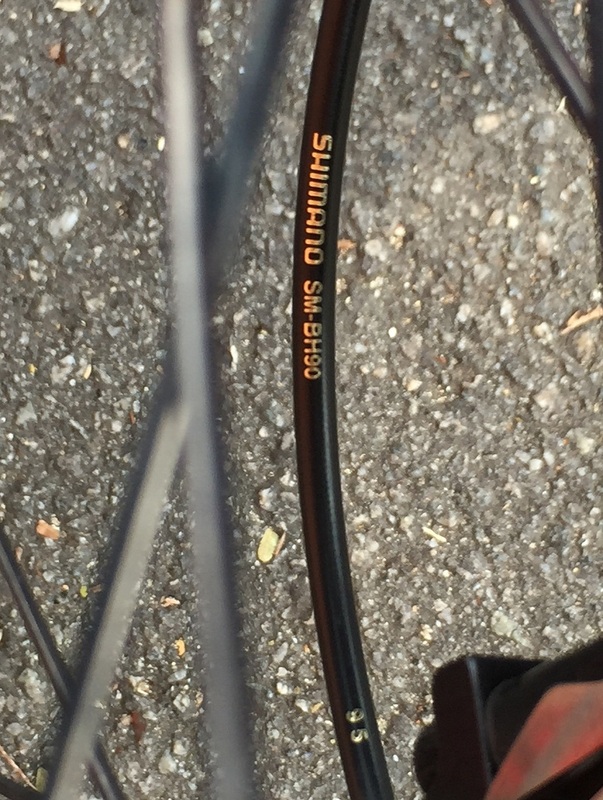 I really can’t tell if the Specialized shop has swapped out the cable housing from the original packaging as mine is shown Shimano SM-BH90 whereas my friend cable is Shimano High Power Brake Hose. 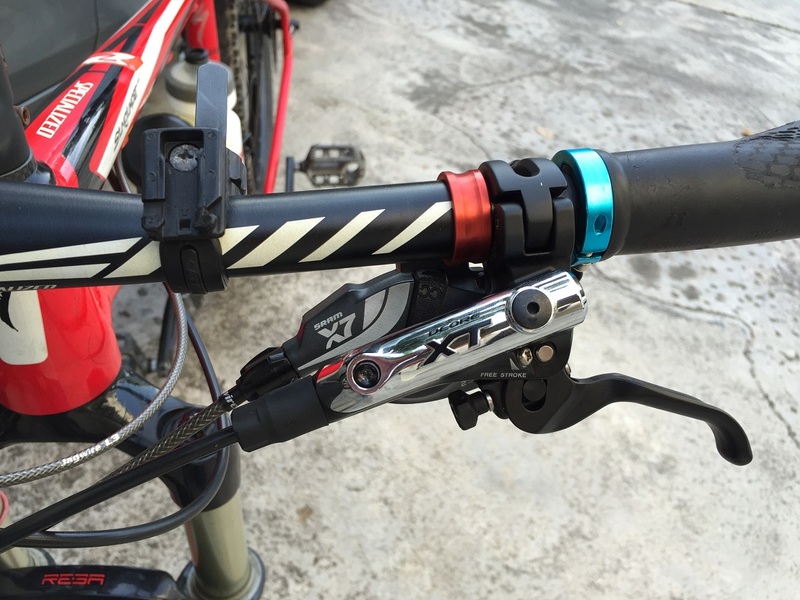 The BH90 is a lower grade cable which is Shimano Deore range. 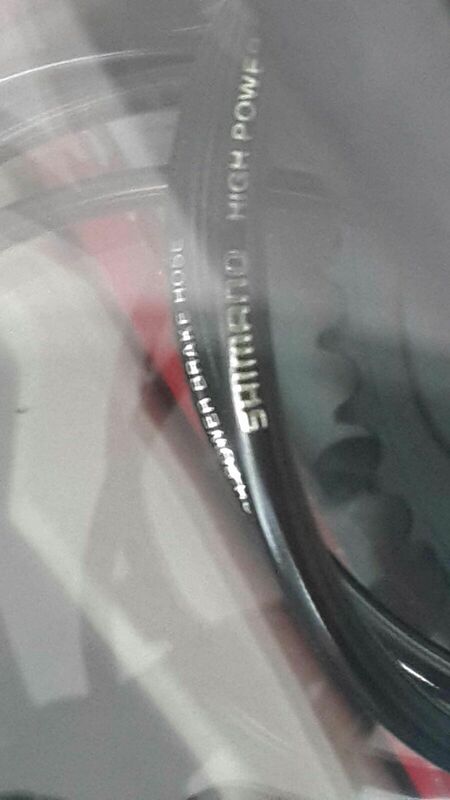 The High Power brake hose cost about RM100 each. I pair this brake with my Brakco 180mm rotor in front and Magura Storm SL 160mm rotor for the rear. This brake is setup for easy maintenance or adjustment with minimal tools required. I heard from a bike shop, the brake bleeding is so easy with just unscrewing 1 nut only. Also, the brake lever pressure can be adjusted with just tightening the nuts with 2 fingers. Some can argue that it is not important if you have the setup done in the 1st place which is correct. But this helps when during your 1st setup and on some routes I probably don’t need to have hard pressure on my lever. Most importantly, it doesn’t squeak when I pressed on the brake. I have experienced some other brands like Tektro squeaks a lot when pressing on the break hard. All these while my perception for XT brakes were very powerful in braking and not so in modulation but not the set I have. Somehow I need to press the brake harder and longer to slow down my bike in steep descent. I have been using this brake for a month now and it should have break in already. But, the braking surface is so much different from my friend XT. Could it be the brake pads (not original)? Rotor? Or the brake housing (not high grade housing)? I have no idea. I am going to give it another month to try it before I make a formal complain to Specialized. I wanted to get a 180mm rotor for long time already and I just can’t find what I want and the price I am willing to pay for it. When it comes to bike or bike parts spending, I tend to be careful about it. I have friends that I know would just buy anything they see or like. Then, when they find it not useful or suits them, they will just sell it off at a lost. But, I will do my review carefully by reading forums, review like “this” or getting inputs from my friend/s. I got this rotor for RM125 and RM25 for a bracket which I think is a good buy for a floating disc. If it is Hope disc, it will cost at least RM200 for it. This is a floating disc rotor which it can dissipate heat much better than non-floating disc. There are many designs from Brakco and each design will have their own purpose. 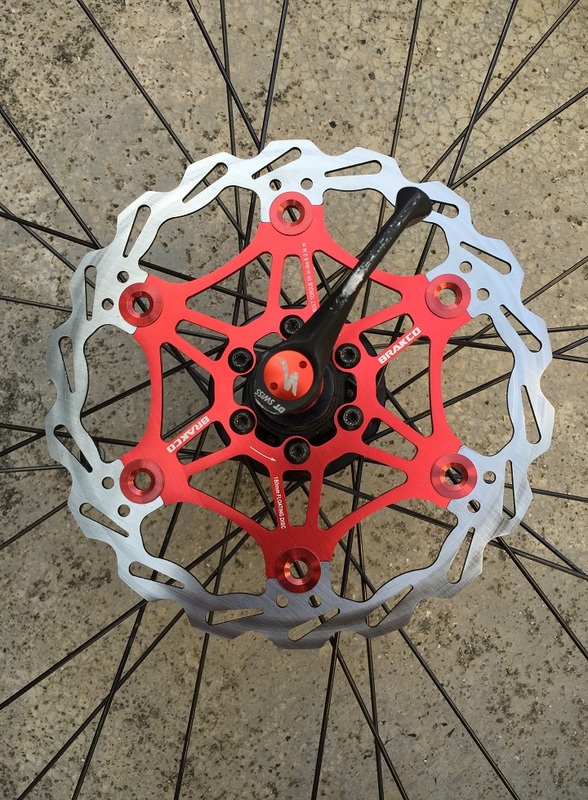 Weight, brake surface for strong grip or better modulation. It all goes back to user preferences. For me, I would like to have a balance of both. I prefer to have good modulation yet didn’t forgo the grip because I am doing off road and single track cemented riding. 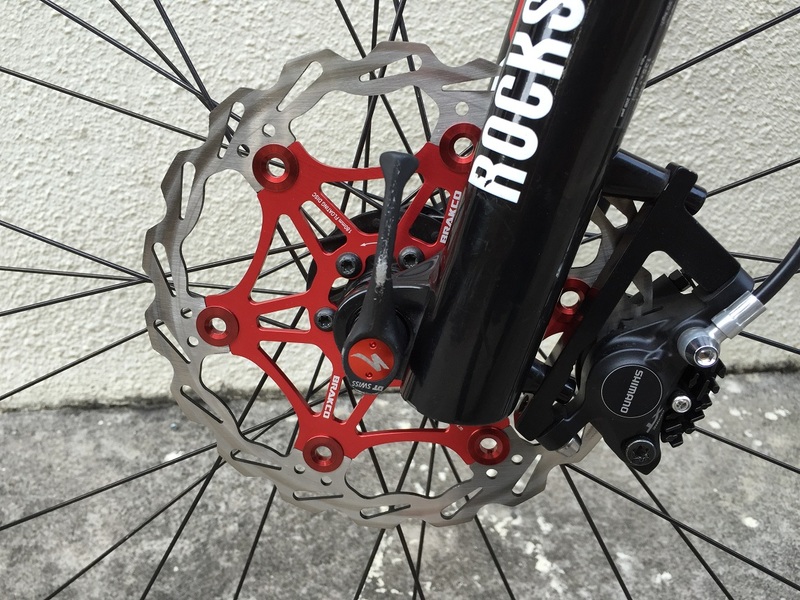 I have used this rotor for Penang Hill, Pearl Hill and Mount Erskine and I so far it has not given me any trouble. One thing to note here is 180mm will tend to rub the pads when doing hard cornering. I am not sure if that was because of my wheelset which probably a softer kind or 180mm behavior. I will find out more and update. Coming down from Penang Hill also didn’t have any burnt mark on the rotor and it was not extremely hot like my previous set. That probably explains why my Magura break leaks. Well, so far I am happy with this rotor.